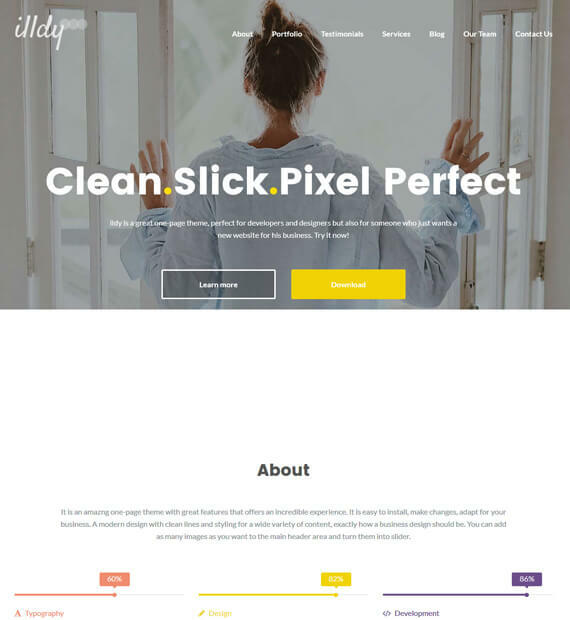 Clean, chic and beautiful, Illdy is an awesome WordPress theme that is a great option for business, landing page, portfolio as well as personal blog or websites! Be as creative as you like and create the unique website that you always wished for! Fully responsive and mobile-friendly, the layout this feature is simply beautiful. However you wish to design this theme on your site, the easy customization makes it less time-consuming. Brought to you by Silkalns, this will make your site simply stunning for your users to see!